They say you are what you eat. And I couldn’t agree more with that. The foods you consume have a great role in how you feel and the level of energy you have throughout the day. 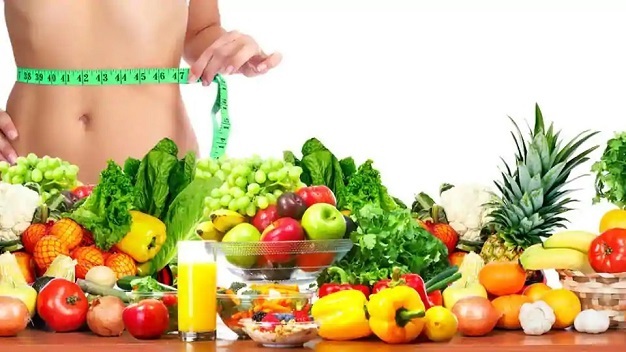 What you eat is also especially important if you want to lose some weight and get a toned body, or if you just want to maintain your good-looking figure. So yes, you are what you eat, and you certainly don’t want to be fast, cheap, easy and fake, do you? What every woman who is striving to have her dream body should do is, find the best healthy meal plans for women and start from there. It is as simple as that. Most healthy nutrition plans are mainly based on fruits, vegetables, whole grains, low-fat and dairy products. They also include lean meats, fish, poultry, eggs, beans, and nuts, limiting the consumption of saturated and trans fats, sodium and added sugar. In order to find and follow a meal plan that will help you achieve your fitness goals, you need to pay attention to your calorie intake. If you find it difficult to count the calories of every meal you eat, consider ordering healthy meal plans for women online. This is a rather convenient way to have a healthy meal that contains just the right foods for you and has the proper amount of calories. Plus, these meals are usually delivered to your doorstep, saving you time and nerves cooking and counting calories. Just find a reputable company of this kind, browse their options and meal plans and sign up for a daily/weekly/monthly delivery. You will soon notice a great change in your eating habits and be thankful you embraced this new lifestyle. Now let’s take a look at the recommended number of calories you should eat depending on your goals. If dropping some kilos is your goal, you will need to burn more calories than you consume. This will help your body to use fat stores for energy, eventually resulting in weight loss. But be careful, not eating at all or improperly timing your meals may result in your body burning muscle tissue, which is not a good thing. This is why it is important to stick to the proper nutrition plan for your goal. To safely lose weight (about a kilo per week) your daily calorie intake should be between somewhere between 1200 and 1500 calories. In this case, you will need to eat more calories than you burn. Your focus should be on building lean muscle mass progressively without getting too much fat from your diet. Be careful not to increase your calorie intake too quickly as your body can easily store it as fat. Increasing your calories little by little will allow you to track your progress, hence avoid looking bulky. To simply maintain your weight, you will need to burn as many calories as you consume. To keep track of this, you will need to find out the proper caloric intake for you to be able to maintain your weight. Once you have this information, you will be able to determine the best meal plan for your goal. How Important Is To Visit An Independent Audiologist?